Dilaudid is commonly used opioid narcotic analgesic in hospitals due to its potency and effectiveness in the management of acute pain. On occasion, patients may be administered too much Dilaudid resulting in an “overdose”. If the patient is not being appropriately monitored and/or if the overdose is not readily detected and reversed, the results can be devastating. Although, Dilaudid is not the cause of “code blue” events in every patient that is given Dilaudid either. for this patient to cause an overdose? 2) Was the quantity of Dilaudid the patient received via both bolus injections and PCA (Patient Controlled Anesthesia) device (rational) within the standard of care? and; 3) Did the dispensing pharmacist violate the standard of care by dispensing the Dilaudid pursuant to an order with directions for dosing which exceeded hospital standards? The defense argued individual bolus injections of Dilaudid were justified due to a time delay in initiating Dilaudid PCA secondary to Dilaudid vial-PCA Device incompatibility. The hospital nurses testified that there was a problem with PCA device reading the bar code on the Dilaudid vial. And in order to get the given vial to work, they had to retrieve a different (older) PCA device. While vial incompatibility due to bar code reading error was a known issue with the given PCA device at the time, the “fix” was altering the bar code and not getting a different (in particularly an older) PCA device. None of the other experts hired to work on the case picked up on this inconsistency. Thus, the testimony by the nurses claiming bar code error was false. The actual problem was the newer PCA device would not accommodate the excessive dose from the directions ordered. Thus safety precautions built into the newer devices had to be bypassed, thus the rational for seeking an older PCA device. The defense attorneys were effective in diverting attention away from the excessive directions and therefore dose for a Dilaudid PCA, to the vial, for which a problem at that time did exist, leaving no one to question the built in safety parameters of the PCA device preventing the directions to be entered. A safety precaution that was subsequently bypassed by hospital staff. It was due to my combined pharmacy and physician experience and training that I was able to detect this nuance that would have been otherwise overlooked and dismissed. My conclusion was supported by a slip in the testimony of one of the nurses, who admitted during her deposition that the PCA device would not accommodate the directions (versus the vial as testified too). This slip in testimony, and the inconsistency in the problem stated (bar code error) and problem resolution (which should have been to fix the bar code and not use a different PCA device) were not noticed by any other expert or attorney. Case was settled favorably for the plaintiff prior to going to trial. Physician/Pharmacist/Pharmacology/Toxicology experts hired by defense attorney for Emergency Room Physician alleged Dilaudid overdose. A patient with a history of diabetes on an insulin pump was in the ER due to crush injury. ER technician testified that the patient coded while she was in the room, immediately after administering a reasonable dose of Dilaudid IV. The ER technician also testified that the patient’s wife (who was an attorney) was in the exam room talking on her cell phone at the time the Dilaudid was being administered, the wife stopped mid-conversation on her cell phone and asked her husband if he turned his insulin pump off immediately before he “coded”. The ER tech administering the Dilaudid checked for a pulse and immediately called a code blue. Confirmation of the code (lack of pulse) was not documented. It was also noted in the patient’s medical records he had previously had similar episodes of “passing” out secondary to diabetic complications. No other expert or attorney saw the significance that the wife saw something in her husband she had seen before, that caused her to interrupt her cell phone conversation to ask him if he turned off his insulin pump just before he passed out, which coincidentally happened to be the same time the ER tech was administering Dilaudid, supporting the etiology of the “event” not being attributable to Dilaudid. The Dilaudid dose the patient received was insufficient to result in overdose. Secondly, the sequence of events was not consistent with respiratory arrest secondary to opioid (Dilaudid) overdose. Lastly, this piece of information in the deposition record was significant enough to support another previously existing, known etiology. The cases against the ER physician and hospital were dropped. 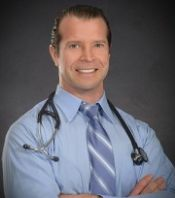 ABOUT THE AUTHOR: Matthew C. Lee, MD, RPh, MS.
Dr. Lee is a practicing Primary Care Physician and Pharmacist in Richmond, Va. He also has a Master’s of Science degree in Pharmacology and Toxicology. Dr. Lee has and continues to assist plaintiff and defense attorneys in both civil and criminal cases. Dr. Lee combines the facets of each of his respective fields and deep knowledge of pharmacology and medications to put together solid arguments in the cases he accepts to work on.